There have been a number of Posts recently that address the “Adopt don’t shop” mantra, or have otherwise promoted the humane value in adopting from a shelter. A lot of people are instinctively wary of adopting a rescued dog because of a perception that it will be trouble. To be realistic, it could be trouble… as could any dog coming from a breeder or some other source. We have probably all experienced nice well-balanced and stable families, that have had a child go totally “off the rails”! There is no reason to expect dogs to be any different. A specific breed will give you its potential traits but, as with children, there are no guarantees. Ray had a number of issues which the shelter advised us about prior to adopting him (would another seller be as honest? ), and we have certainly put a lot of time and effort into helping him adapt to a home environment. His willingness to respond to training has made it all worthwhile however, it became very clear to me that there is no such thing as effective intuitive training. One major issue with Ray was his lunge and bark routine when other dogs came close. We decided that we needed the benefit of experience and contacted a trainer who was recommended to us, which resulted in enrolling Ray in a special program. The following is an excerpt from my book about Ray (“Who Said I was up for Adoption?”) and covers the program designed to help dogs become more comfortable with other dogs. The instructor (using a dog especially brought in to assist) monitored Ray for body language signals and was then able to explain to us what to look for when he noticed another dog, but before he prepared himself to react. It was critical for us to understand his body language because we needed to give him a treat after he had seen the other dog, but before he tensed up ready to react. In addition to keeping his stress level down, we clearly did not want to inadvertently reward him for antisocial behaviour! Ray’s body language was a slight turn of his head towards us. This was probably him looking to us for direction and, in the absence of such direction, was going to take charge of the situation himself! Just a slight turn of his head and we were ready with the treats! Over the course of a number of training sessions, we were able to keep gradually reducing his distance from the other dog as he became more comfortable and no longer saw the other dog as a threat. By the end of the program Ray had learned to appropriately greet another dog in a socially acceptable manner, which was a significant step forward for him. Since the book was published, Ray has made steady progress and is now “Mr Social” when we take him downtown. People are always approaching him because he has such a friendly face, and he happily approaches them because they may have treats for him. One of our standard comments to each other when we are out with Ray is “He made his (her) day!” as we see a person pass with a big smile on their face after having looked at our beloved Ray. All dogs are work, as are all children, but the rewards are incredible. Adopt from a shelter… and you will not be paying into a profit making business. Adopt from a shelter… and you will almost certainly have access to their expertise, and probably at no cost. Adopt from a shelter, and you will be financially supporting their operations. Adopt from a shelter, and you will be freeing up space for another poor unfortunate dog. Finally, I have heard many complaints about the cost of trainers but, if you really want a dog in your life, then you must be prepared to look after it responsibly which could well dictate a training program. We would never have known that Ray’s slight head turn was such a critical part of his body language without professional help. I would suggest that if the cost of a trainer is an issue, then perhaps do not adopt a dog until such time as your circumstances change. The last thing you would hopefully want, is for your dog to find itself back in the shelter. Ray’s book is available direct from Friesen Press (friesenpress.com), amazon.com, and all other on-line book retailers. We adopted our dog Bear as a puppy from the Caribbean ( he is the inspiration behind my website actually), and my first dog was adopted in the states. I definitely love being able to adopt, and even if a dog has behavioral issues.. that wouldn’t scare me off from adopting because I know almost every issue can be fixed with time, patience, TLC, and a lot of exercise! There’s so many resources available to people these days to aid them with any issues or questions they may have…it truly is wonderful to give a dog a second home, and to be understanding to their situation. And of course it’s rewarding to have them in our lives. I absolutely agree. I’ve had rescues most of my life. The two dogs I did buy from breeders were the only ones I really had trouble with – but I had not done my homewrok either. My rescues have rescued me right back and have been absolutely wonderful dogs. Whereas I have no problems with reputable breeders, I will always promote adopting from a shelter. Not only do shelter dogs deserve to be adopted into a loving family, but their adoption also frees up space for another unfortunate dog. Finally of course, shelters provide a necessary service on a non-profit basis and (in my experience) share their knowledge and expertise freely. Totally agree with you re reputable breeders. Sadly, Kijiji (and similar) public advertising and disreputable breeders seem to be everywhere. We just have to keep pushing the message for responsible dog ownership… which starts with where one buys the dog. Many thanks for your addition to this dialogue. And thank you for advocating for adoption and responsible ownership. It’s refreshing to see! I love your insight on this topic! Couldn’t agree more! Aw man. What a lovely post. What an insightful post! My dog, Pinella (featured on my blog, “Sit, Stay, and Blog”), sometimes displays a similar problem. While I am a service dog trainer myself, this is the exact reminder I needed with regard to paying attention to Pinella’s body language before, during, and after approaching another dog! 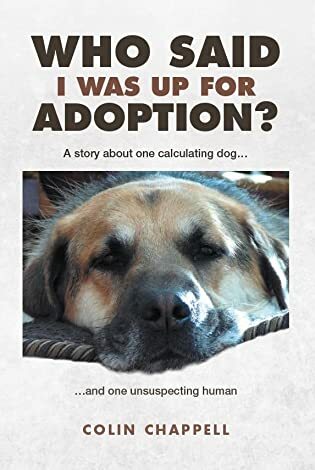 It is so interesting and incredibly enlightening to see a case of adoption that debunks the myths of adopted dogs being trouble! Anyone who is looking for a dog and does not consider adoption, makes me question if they truly love dogs as much as they think! Dogs require so much love, time and attention and to change a dog’s life and help its behaviours and habits evolve into something positive is so rewarding! I am overjoyed to hear that your dog has become so much more sociable since his first interactions. There is no excuse to not adopt a dog after this story you’ve shared! I hope you use it to encourage others to stop purchasing puppies and encourage them to adopt as well! Very astute of you to point out that other sellers probably wouldn’t have been as quick to forewarn you of Ray’s shortcomings as the shelter was! And the trainer’s advice about reading Ray’s body language when he sees another dog and rewarding him at the appropriate moment–that’s gold! My dog is completely sweet with all humans, but she does tend to tense up when she meets strange dogs. I’m going to try this technique out. Could make a big difference! Thanks so much for sharing! I’ll check out the book on Amazon as well. PS- My sister has a rescue dog, Macey, and she is by far the most chill, loving animal I’ve ever met. Hi MM. Ray was very challenging when we first met him, and my first dog, so I had a huge learning curve! I do hope that you decide to get my book about him because it documents everything we went through with him during the first 18 months together (and all profits will go to the Humane Society that rescued him). I think that you will find Ray’s story very interesting, and I can well imagine that you will be able to relate to much of it. I couldn’t agree more, any dog/puppy can be trouble if you’re not prepared to make the effort and follow the advice of experts. I am amazed at the number of dogs returned to our local shelter because their ‘owners’ ignored the advice of the shelter staff or decided that it was all too hard. It is very sad that people treat adoption so casually. The people we know at our shelter have pretty much said the same as you. It is very sad, some people just dispose of what they no longer find appealing or when it all gets too hard without any thought of the consequences. It is very sad, and I really don’t know what the answer is. Put prospective owners through a brief education with an examination at the end? Increase the cost of adopting so the “impulsive” people will think it through more carefully? In fairness, I had no idea what was involved in living with a dog and could not understand those that clearly had an emotional attachment to their dog, so perhaps more education is the answer? Our shelter will often specify “no children” and, from their perspective, it makes perfect sense. All dogs in a shelter, without exception, have suffered some degree of trauma. Even those turned in due to death of owner, or some reason why owner cannot care for them, are suffering due to the forced separation. This can surface in so many ways and the shelter can be held accountable for their adoption decisions. They must always therefore err on the side of caution. Ray’s dog aggression took about 2 years to really get under control and yes, we have had incidents of aggression from other dogs that put Ray back on his progress. The only consolation is that there are more happy and well balanced dogs out there, than there are angry/aggressive ones. We found it a huge advantage to participate in any dog walking fundraising walks, because only people with well behaved dogs will generally participate… and Ray got to accept that dogs in general are okay! Understand completely. We used to avoid contact initially by crossing over the road or otherwise detouring, but there is not too much you can do about an irresponsible dog owner. Our area mandates all dogs to be leashed, so an off-leash dog is always a potential problem. Thanks for the reminder of both shelter adoption and the ‘impawtance’ of training. Learning the signs that set off a reactive dog is critical in his or her success in becoming a great addition to the family. I agree with what you said, and would like to add one other thought. A responsible breeder is one who breeds for the healthiest dogs possible. Any time an inherited problem starts popping up in her offspring, no matter the age, the breeder stops using both sire and dam. These breeders usually breed from champions and produce more champions as well as delightful pets. They also qualify the buyers and refuse to sell if they don’t feel comfortable with the person. Xena’s breeder not only does all that, but she guarantees all her puppies from a whole list of health problems for 7 years. If any of them happen, she refunds the full purchase price and offers another puppy free of charge, while the owners keep their dogs. So yes, by all means avoid backyard and amatuer breeders and pet stores like the plague. And adopt a dog from the shelter, too. We’ve adopted many more than we’ve bought. Thank you Amy. It is nice to have the professional breeder perspective. Wonderful! The only other thing I would add is to consider adopting an older pet. Puppies are great fun but a big responsibility. If you are not up for that (including all the extra training) adopt an older dog. Let’s hope he didn’t chew your shoes. That seems to be a puppy thing. That body language…applies to dogs just as much as people. A great tip from that trainer. Well said, and many thanks for the link.